Brainerd professional fishing guides include inductees to the Minnesota Fishing Hall of Fame, tournament pros, and pro staff guides. Several members represent major boat companies as promotional fishing guides in Brainerd, Minnesota. They provide pro-staff boats, fishing equipment, tackle, live bait, fishing rods, fish cleaning, and decades of fishing knowledge. Brainerd fishing guides can pick you up at your hotel, resort dock, or cabin. There are many excellent fishing lakes in Brainerd, Minnesota. The following fishing guides have spent decades unlocking their fishing secrets. 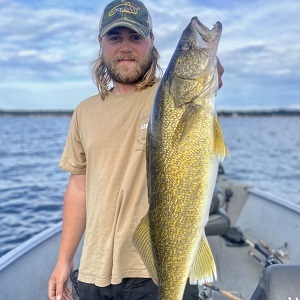 John is an excellent multi-species fishing guide with a knack for catching walleyes. 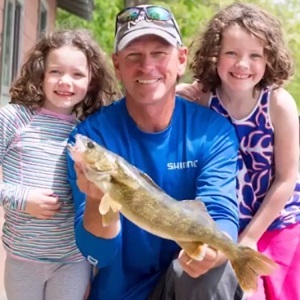 He has been a fishing guide in Brainerd, Minnesota for over twenty-five years. 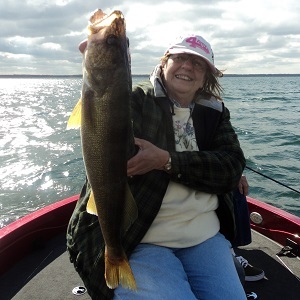 This Brainerd walleye fishing guide fishes over 40+ lakes in the Brainerd Lakes Area. His favorite lakes are Whitefish Chain, Gull Lake, North Long, and Pelican. 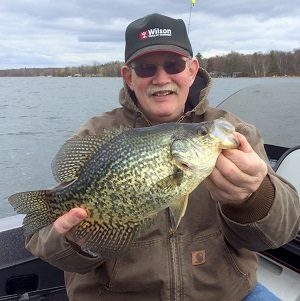 Few Brainerd fishing guides can match the hours he puts in on the water. John has an easy going nature, is patient, and consistently puts fish in the boat. He has several major sponsors for his fishing guide endeavors. These sponsors include; Ranger, Mercury, Motor Guide, Lowrance, and Power Lodge. Todd is an excellent walleye/multi-species fishing guide. He began his fishing career at Koep's Bait in Nisswa, Minnesota. 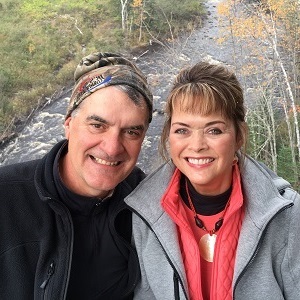 He has now worked for over twenty-five+ years as a fishing guide in Brainerd, MN. Todd is a good choice for all types of groups. Known for his good wit and humor, Todd is an excellent choice for those looking for a Brainerd fishing guide. Whether it is winter or summer; Todd is out fishing someplace in the Brainerd Lakes Area. Todd fishes multiple lakes throughout the season. His favorites include Whitefish Chain, North Long, Gull Lake, and Lake Hubert. Todd is the classic Brainerd fishing guide. He has several sponsors. These include; Skeeter Boats, Yamaha, and Lowrance. Jon is multi-species expert who specializes in catching walleyes. 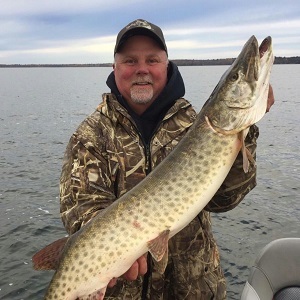 He grew up fishing in the Brainerd Lakes Area and has been a fishing guide for over twenty-five+ years. Jon is an active outdoorsman who loves to hunt as much as he loves to fish. This Brainerd guide fishes from ice-out to freeze up. He also helps coach local youth sports. Nothing slows this guy down. He is known for his good humored nature and colorful stories. Jon is great with all types of groups. He is the classic Up-North fishing guide. His favorite walleye lakes are Whitefish Chain and Gull Lake. 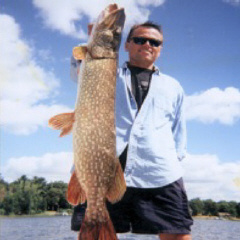 Jeff is a multi-species fishing guide who specializes in catching big northern pike. He has accumulated multiple top place finishes in northern fishing tournaments. Jeff grew up in the Brainerd Lakes Area. He has fished its lakes for over forty years. 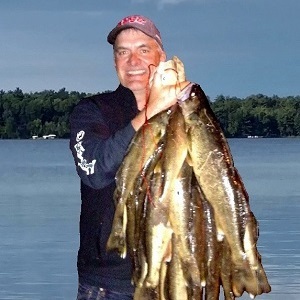 Jeff has twenty-five+ years of experience as a fishing guide in Brainerd, Minnesota. He is patient, knowledgeable, and humorous. His friends call him "Woolie". Jeff's easy-going personality makes him an excellent choice for family groups with young children. 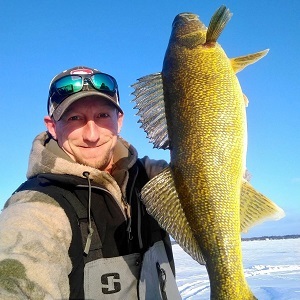 His favorites include Edwards, Lake Hubert, Gull Lake, and the Whitefish Chain. Jeff is a past board member for Minnesota Northern Inc.
Royal is a legendary fishing guide. He is one of the oldest, still active, fishing guides in Brainerd, Minnesota. Royal fished side by side other legendary Brainerd fishing guides like; Al Linder, Gary Roach, and Marv Koep. Royal was inducted into the Minnesota Fishing Hall of Fame in 2016. He is now part of the very small group of Minnesota fishing guides which have achieved legendary status. Royal is a multi-species fishing guide who specializes in bass. He is an excellent guide for those looking for action. Royal will fish walleye in the spring and fall but prefers to fish for largemouth bass for the rest of the season. Royal fishes multiply lakes throughout the Brainerd Lakes Area. His favorite lakes include; Gull, Hubert, North Long, and a host of smaller ones tucked away in the woods. Perry was elected to the Minnesota Fishing Hall of Fame in 2016. One of the highest honors which Brainerd fishing guides can hope to achieve. Perry is a fabulous walleye fisherman. 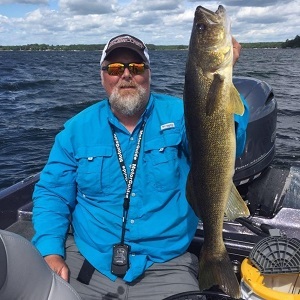 He is one of the all-time money winners on the Professional Walleye Tour and has spent numerous years working as a Brainerd fishing guide. Perry fishes many lakes throughout the Brainerd Lakes Area. Several of his favorites include Farm Island, Gull Lake, and Mille Lacs. He is well versed in a variety of fishing techniques and consistently puts fish in the boat. Perry has several major sponsors to help him promote his tournament and Brainerd fishing guide endeavors. These sponsors include; Lund, Mercury, Motor Guide, Lowrance, and Rapid Marine. Click pictures to learn more Brainerd fishing guide tips for walleye, bass, crappie, and northern pike. These Brainerd fishing guides have spent decades unlocking the fishing secrets of the Brainerd Lakes Area. 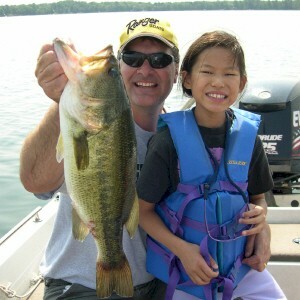 These Minnesota fishing guides run excellent equipment, are knowledgeable, and have great personalities.